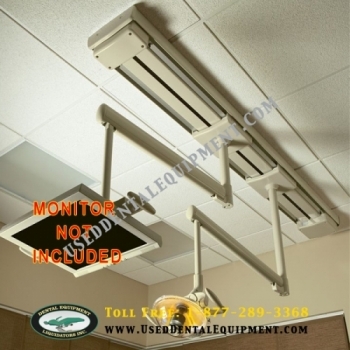 OPTIONAL LONGER or SHORTER Post/Tube Sizes are available for additional $500 PER SET - Please Specify your Ceiling Height in Note Section During Checkout. If Choosing This Option, We Will Fullfill Your Order to Specifications. 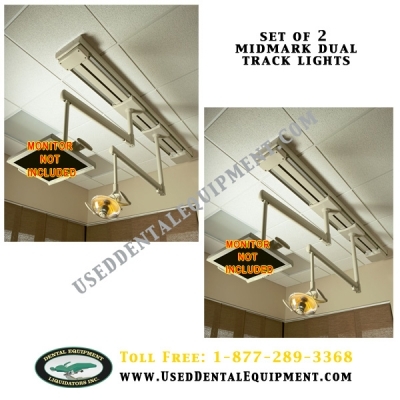 Optional Posts can accommodate ceiling heights 8' to 10' 5"
The Track Light features an integrated PC board that monitors voltage to ensure color corrected brightness, and touchpad controls. All this helps to deliver the true, reduced shadow, white light you need to properly identify shades, see details, and diagnose tissue. Pattern Size: 3.3" x 7.5"